I finally bought a Holga WPC after wanting one for a long time. I have loved the results of the wider format pinhole shots I've seen and have been wanting to try it. The Holga is an inexpensive camera and a nice entry into this format. Normally I favor color pinhole shots but I think I love the wide angle in black and white. 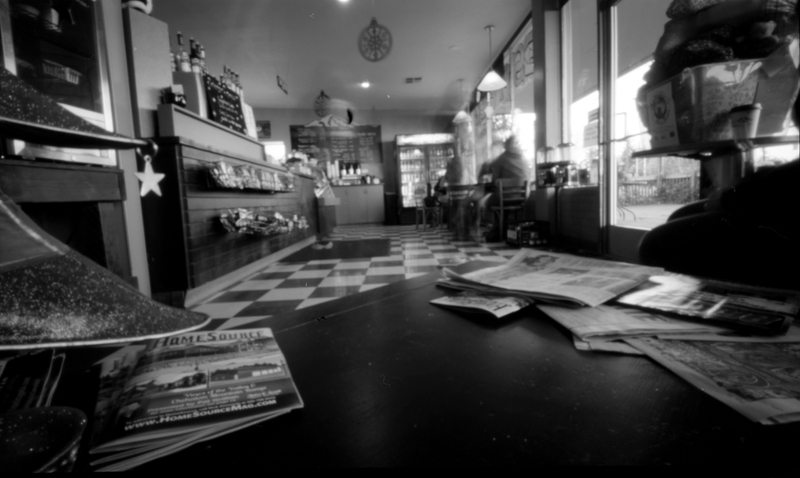 The wide angle has a very cinematic feel to it and black and white film lends itself well to that aspect.